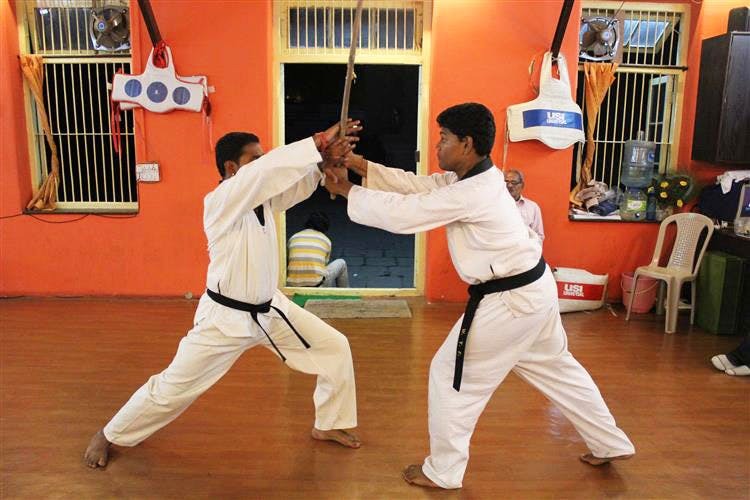 Tae Kwon Do, Mallakhamb & More: Did You Know You Could Try These Unconventional Sports In Pune? Fed up of playing cricket, football, basketball, and other such conventional sports with your friends? Well, why not try your hand at the lesser, more unknown sports that are gaining popularity everywhere. So, for all sports fanatics, we have compiled a list of five places across the city where you can play unconventional sports. While rowing continues to be a popular sport in other parts of the world such as New Zealand and the United States, it is yet to gain a lot of appreciation in India. Well, the Royal Connaught Boat Club is the home of rowing in the city. Acknowledged for having on board enthusiastic boating members who encourage the sport, it is a place for families and individuals who might want to give this sport a shot. Providing an absolutely unforgettable experience – one filled with uncountable joy – you’re sure to develop a liking for the sport. Archery is a sport in India which continues to be hidden from the limelight. For those of you who see an archer in themselves, visit Parso Play Lounge where you can try your hand at archery. Experience the thrill of archery as the matches between your friends and you go down to the last arrow. Away from the world of western sport lies our very own traditional sport of Mallakhamb. A sport which continues to amaze its audience as the gymnast performs magnificent feats and poses while standing on a single vertical wooden pole. Visit the Yoga Sports Academy in Vishrantwadi to experience the adrenaline rush that Mallakhamb gymnasts experience when they balance themselves on the wooden pole while striking breath-taking poses. An extremely popular sport in South Korea, Tae Kwon Do is a sport growing in popularity in India over the last decade. With elements of Japanese Karate and Chinese Kung-Fu, the sport is a fusion of cultures. Primarily an art for self-defence purposes, Tae Kwon Do is played with layers of protective gears on. So, what are you waiting for? Drive your way to Universal Power Martial Arts to practise the art and learn about its rich, extravagant history. Often played in villages and schools around the country, Kho-Kho is a sport that many of our parents played while they were in school. With 9 players on each side with three catchers, the sport is action-packed and thrilling. Visit the New Maharashtra Sangh in Shukrawar Peth and make your experience more enjoyable by playing with family and friends.